New data shows Houston pulling ahead of New York City as the largest goods exporting region in the country. The cause? Texas' thriving economic climate, regulatory friendly environment, and energy boom. The state of Texas has been the nation's leading exporter for eleven consecutive years, so the shift in goods exports dominance isn't exactly surprising, but is certainly noteworthy. Colorado is a political anomaly. Through a well-financed campaign of four wealthy donors, the red state turned blue in a few election cycles. This “Colorado Model” has come to haunt Republicans. Is the White House Playing Politics with Disaster Relief Funds? On April 17, the central Texas town of West was rocked by an explosion at a fertilizer plant that killed 15 people, injured more than 160 people and leveled an entire neighborhood. This small community of less than 3,000 people situated on Interstate-35 between Waco and Dallas was decimated. 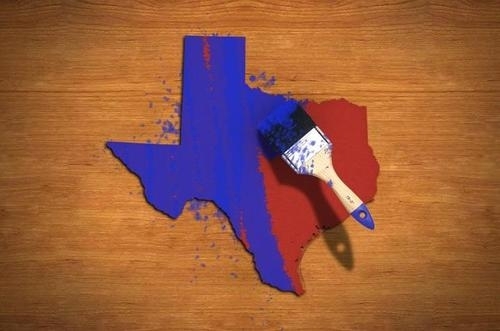 The state of Texas is becoming the standard for freedom in America. Already attracting thousands of new employers for its pro-business stance and hundreds of thousands of new residents for its pro-individual policies, now the Lone Star State wants to revolutionize online freedom. Last week Tea Party groups from across the nation made headlines for being the subject of targeted attacks by the IRS. Last August the seeds of dissention against the grassroots inside the RNC were sown and began to take root. At the committee meeting held during the Republican National Convention, several rules changes were adopted that reduced the power of the grassroots conservatives and libertarian leaning activists inside the GOP. Will legislators ever learn? In the wake of Colorado’s strict new gun laws, gun manufacturers are, understandably, fleeing the state. When will they learn that excessive regulations create such hostile business climates that only succeed in hurting local economies?